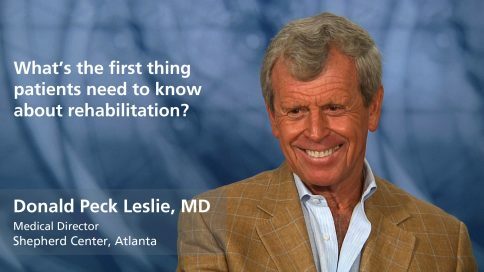 What’s the first thing patients need to know about rehabilitation? What’s the major goal of rehabilitation? What is the role of the family in rehabilitation? What common problems do people face after rehabilitation? What is the hardest part of spinal cord injury rehabilitation for most people? What do you say to the doubters who think rehabilitation won’t help them? How has assistive technology advanced? How important is a healthy diet for people with spinal cord injuries?